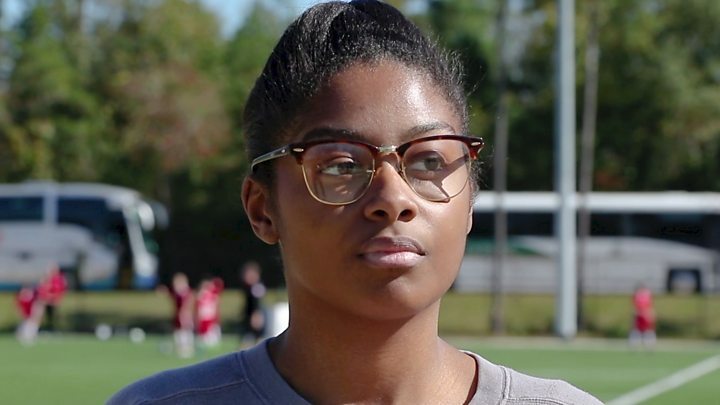 A US gym teacher is facing child abuse and assault charges after allegedly forcing a student to stand for the US Pledge of Allegiance. The Boulder Valley School District in Colorado confirmed Karen Smith had been placed on paid administrative leave. Police were called to Angevine Middle School after the alleged incident on 1 February. Local school officials say students can sit or stand during the pledge. Federal law permits students to sit. The school district released a statement to parents after the arrest saying they "are co-operating with the District Attorney's Office and respect their decision on this matter". "We are unable to comment further because it remains a personnel matter that the school district is actively investigating." 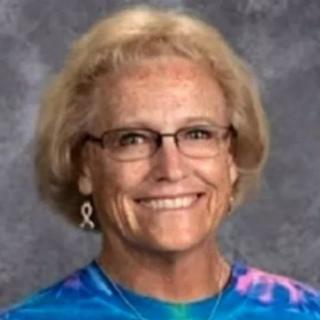 Lafayette police say Ms Smith - described as a teacher with 20 years' experience - grabbed the boy by the jacket, lifted him to his feet and dragged him out of the class. She is charged with child abuse - recklessly and with injury - and third-degree assault. Parents dropping off their children at school the next day told a local news channel that the teacher was known for being "strict". Several parents told CBS Denver they believe the story had been "blown out of proportion". In the 1943 West Virginia State Board of Education v Barnette Supreme Court decision, judges ruled that public school students cannot be compelled to stand during the pledge.